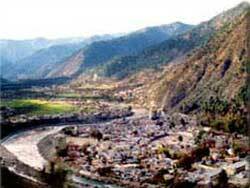 In 1960, it was made a border district with the district headquarters at Uttarkashi. The district is more important because of the two very significant Pilgrimage-centers viz. Gangotri and Yamunotri, the source of the two rivers, Ganga (Bhagirathi) and Yamuna.<br />The major locations of the district are Dunda, Puroia, Rajgarhi and Bhatwari. Major tourist attractions are Chaurangi Khal, Bhairon Ghati and Gangotri. 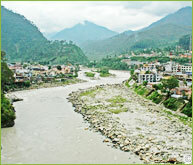 Yamuna, Rupin and Bhagirathi Rivers flow through the district. 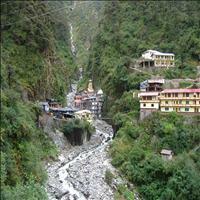 As the name suggests, Uttarkashi is considered the northern Kashi or Varanasi. 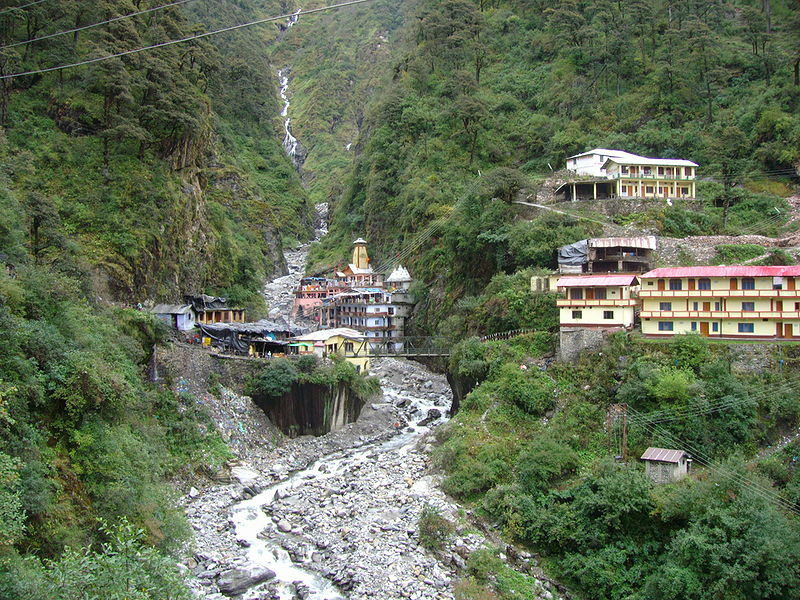 The town is situated at an elevation of 1,550 m on the right banks of river Bhagirathi. It is a district located in the extreme northern side of the northern state of Uttaranchal. Its margins also mark the Indo-Chinese precincts. It is 155 km north of Rishikesh and 100 km from Gangotri, and is couched in the Garhwal hills. Nanda Devi National Park has an intriguing combination of flora and fauna. Founded in 1980, in the vicinity of India's second highest mountain -- the Nanda Devi Peak (25,756 ft), this park is spread over an area of 630 sq km. The wildlife that can be seen in this park includes -- snow leopard, brown and Himalayan black bears, bharal, Himalayan tahr, serow, monal and chir pheasants. 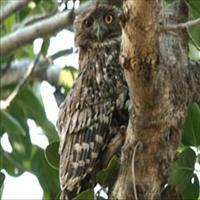 Among the lush surroundings of the Uttarkashi district is the Govind Wildlife Sanctuary. Uttarkashi, with its magnificent snow-clad peaks and glaciers, is believed to be one of the most beautiful towns in the Garhwal region. The sanctuary was established in 1955 and sprawls over an area of 953 sq. km, including mountains like -- Swag Rohini, Black Peak and Bandar punch. 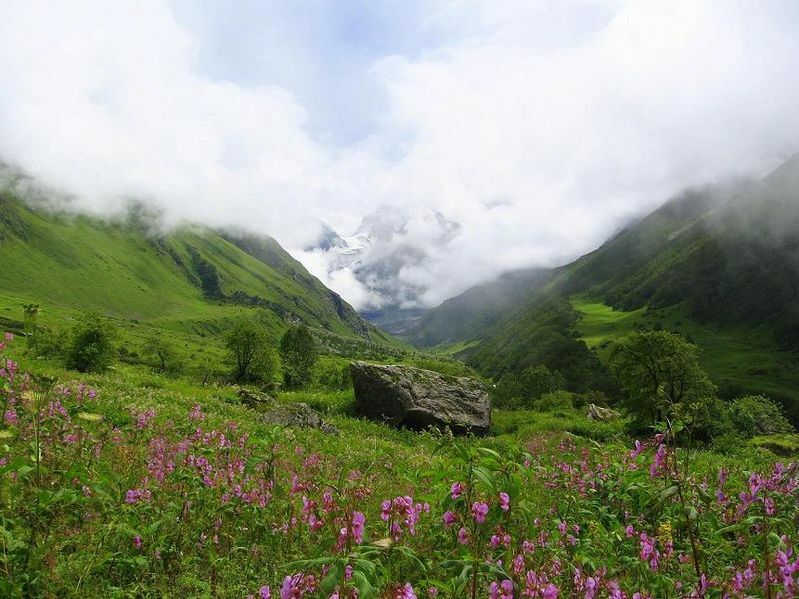 The Har-ki-Dun is famous for it's emerald greenery and is a popular destination for trekkers.\r\nThe wildlife population includes the snow leopard, brown and Himalayan black bears, tahr, bharal, musk deer, serow, monal, trogopan chir, koklas and khaleej pheasants and chukor. 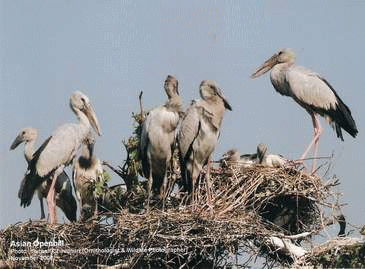 The Nawabganj Bird Sanctuary is a huge marshland and a shallow lake, in addition to a mixed dry forest. It is home to several migratory and resident water birds and is an ideal site for bird watching and photography. The avian population of the sanctuary comprises - among others - the pochard, shoveled, woodpecker, parakeet, coot, purple moorhen and common teal. From Uttarkashi one has to go to the nearest Sangam Chatti, from where one can trek up the well-defined trail to the village of Agoda. It takes a further stage to reach Dodital, an idyllic lake set in a forest of oak, pine and deodar. From Dodital there is a short steep ascent to the Darwa Pass (4150 m) before trekking along the alpine ridges to see magnificent views of Badarpunch (6316 m). An intermediary camp is necessary at Seema Camp. This bridge is located 27 km from Mussoorie, on the Chakrata road. It is famous for fishing, which requires prior permission from the Divisional Forest Officer, Mussoorie.